Damnit, I don't want an RPG Hitman. Considering the amount of times I've seen Enix and Eidos paired up, I don't think that much will change. Lara Croft and Tifa Lockheart: Lingerie Tomb Adventures. ...Also saving my money for it. They really are serious about getting hold of the western market more than they have, aren't they? This is still bad though, I don't like the fact that many copmanies are going through such change, I can't say it truly will be horrible but I just don't like it. Also I saw the Eidos/RPG jokes coming a country mile away. Hopefully this will put some sort of good Western influence into JRPGs that badly need it. 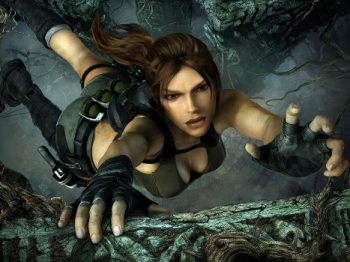 However, why do I get the feeling that Lara Croft is going to become some 16 year old school girl that raids tombs on the side while wielding magic...? That might actually breath fresh air into the series at this point... except the schoolgirl part.